Choosing the right flooring option for a new construction or remodeling project is easy and affordable when you visit the flooring showroom at ProSource® of Stamford. 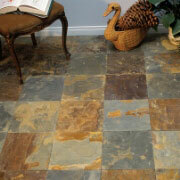 We have a variety of high-quality floors at low, affordable wholesale prices. There is an immediate and noticeable difference with new floors. From high-end to low cost options, there are flooring materials suitable for all design styles and budgets. Learn more below about the different floors available at our Stamford showroom. From classic to contemporary, to durable and economical, you’ll find that we have exactly what you expect when you need carpet flooring. 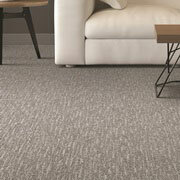 Carpet is popular both for its versatile design styles (berber, frieze, loop, etc.) and unbeatable comfort (wool, nylon, olefin, polyester, etc.). As mentioned, our Stamford showroom specializes in Shaw Hardwood in the color Saddle Oak, but we also have a large selection of other hardwood flooring brands, including Armstrong and Teragren. 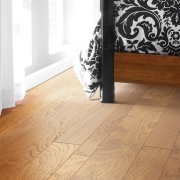 Our collection includes both solid hardwoods and engineered hardwoods. 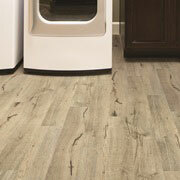 Laminate is a great choice when looking for a budget-friendly flooring. Part of its charm is that laminate can mimic the look of wood, stone, and tile. That type of versatility makes a strong statement in any room. Tile flooring means endless designs, thanks to tiles made from ceramic, porcelain, natural stone, and glass. Tile can even be applied on the walls as a stylish backsplash. Tile floors are a great material that is both durable and affordable. Above, we mentioned the Brewster LVT Click Flooring as a vinyl specialty here at our Stamford showroom, but that’s not all we have! 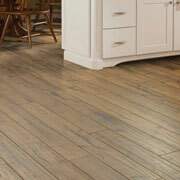 Vinyl floors are great for re-creating the look of hardwood or ceramic floors without the cost. We stock sheet vinyl, luxury vinyl tile (LVT), luxury vinyl plank (LVP), and more durable vinyl flooring materials.